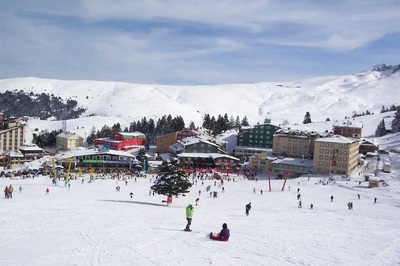 Well known as favourite of mountain and winter tourism, Uludag Mountain is the biggest center place of winter and nature sports in Bursa, Turkey. 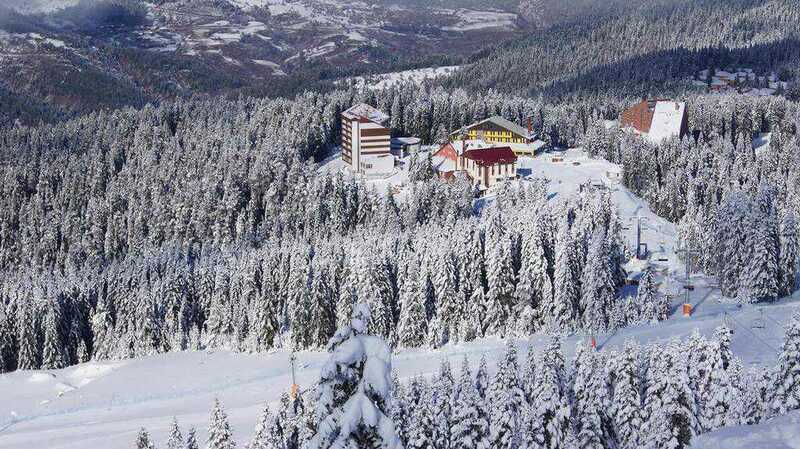 Also called as Olimpos Mountain and Kesis (Mosk) Mountain, Uludag is 2543 meter hight, 40 km long and approximately 15-20 km width. 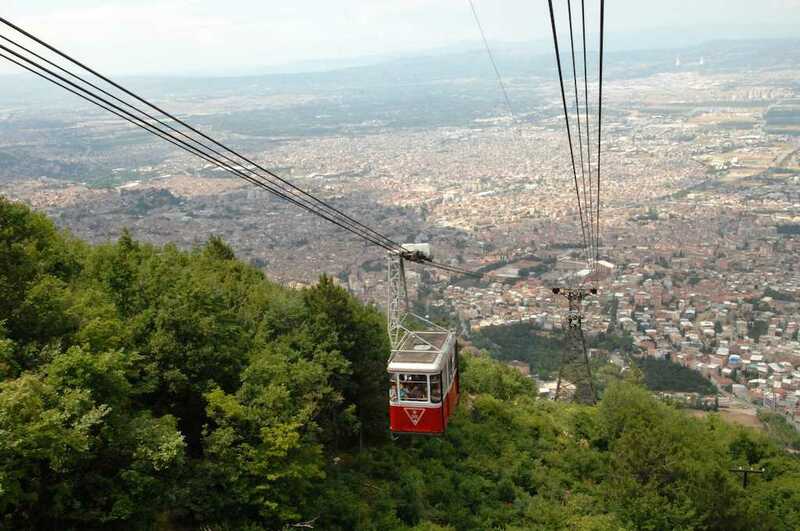 Located on Bursa, the history of Great Mountain was based on Byzantine Era (East Rome Period): After Christianity was accepted as an official language in Rome Empire, many monasteries and churches belonging to the monks were established around Uludag. 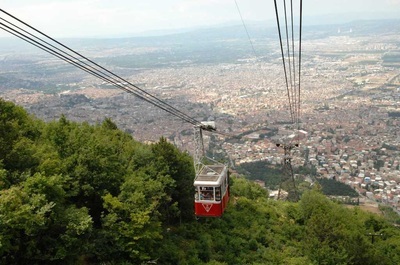 In addition to this, when Ottoman Sultan Orhan Gazi conquered Bursa, many dervishes (santons) such as famous Doglu Baba, Geyikli Baba and Abdal Murat lived here thanks to its inspirational and unique nature. 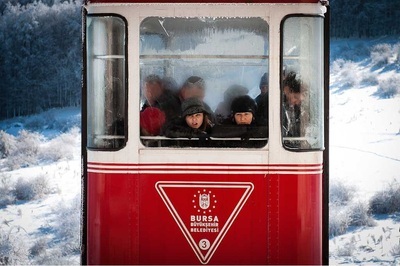 Surrogated by Orhaneli, Sarıalan, Kirazlı, Kadı, Sobra Platforms (plateau), Uludag charms and inspires the visitors, artists and authors with its enchanting nature, magnificent landscape and fresh atmosphere. 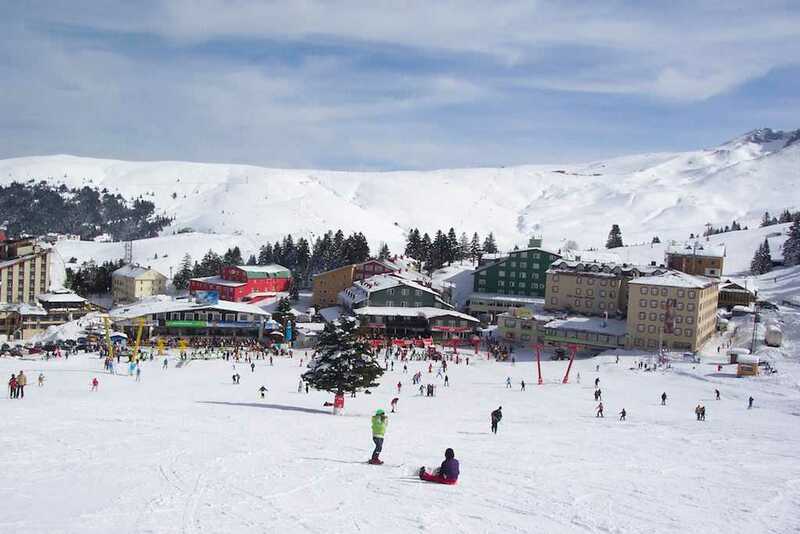 The firstly, at the top places of Uludag Mountain, there are found the traces belonging to the glaciers; Aynalıgöl, Karagöl and Kilimligöl are the most important glacial lake among of them. Those natural lands fascinate the people with their blue pure water and pine verdants. Secondly, there is placed many layers, mineral stratums around Uludag Mountain. Also very important tungsten (wolfram) deposits in Turkey are found here. 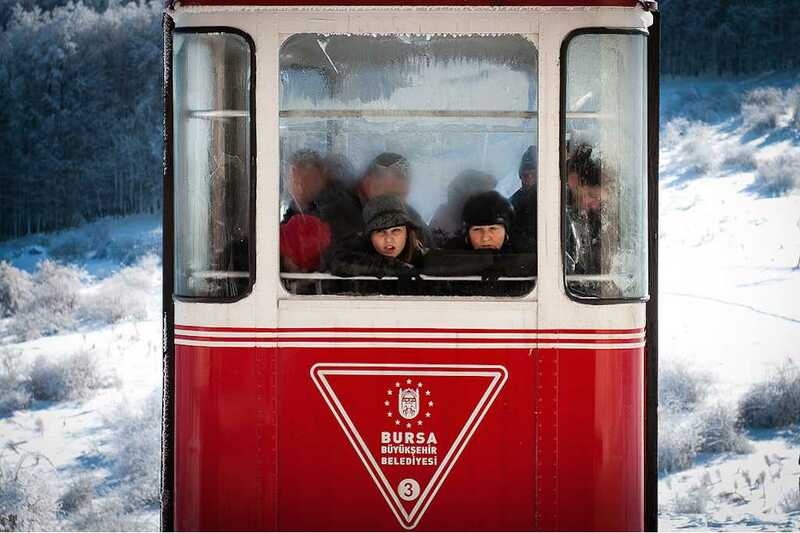 One of the most important symbols of Bursa, Cable Car is not only the first telfer in Turkey but also, the longest cable car. Built between the city of Teferrüç and Sarıalan yaylası, the telpher line is approximately 4766 meters long. 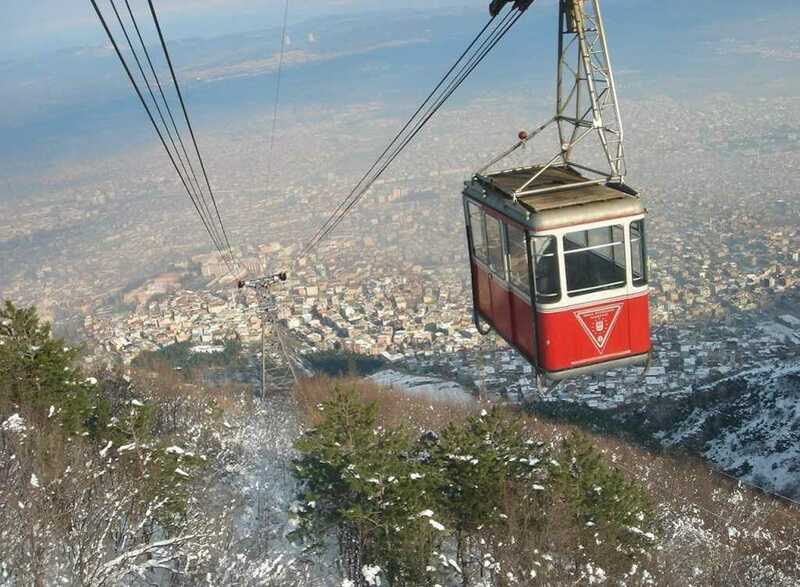 Its altitude changes to1634 m from 374 m. By the way of that priceless vehicle, you can easily pass Uludag from Bursa and enjoy at the marvellous landscape of Bursa. 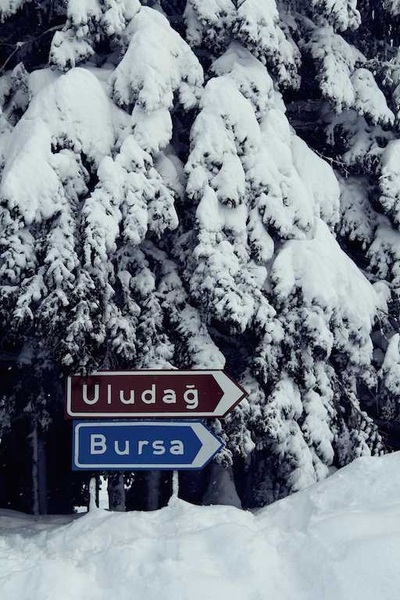 According to the Greek Mythology, famous historian, Homeros who was the narrator of popular Ilyada and Odysseia Epic called Uludag as Olympos Misios or Bithynik Olymp. He said that once upon a time Great Trojan Wars were watched by Apollo who is God of sun, music and the other Greek Gods from here.